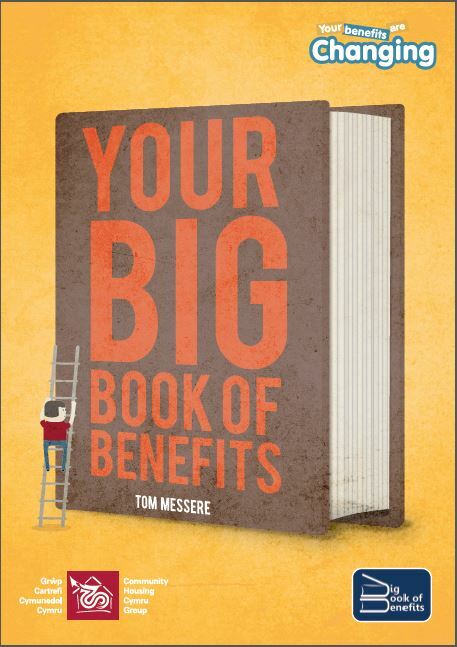 Big Books continues our collaboration with Community Housing Cymru (CHC), with a Spring run of training courses linked to the Your Benefits Are Changing Campaign . Courses are offered at a special campaign rate of only £99 per person (inclusive of lunch and your own copy of Your Big Book of Benefits). They are running in February and March 2015 with presentations in Cardiff and Bangor. Benefit isues and challenges are almost identical over the borders, so visitors are welcome to pop along the M4 or A55. The aim is to help you better understand issues and queries from tenants and to act as better informed signposters and/or be more effective in actually helping with claims. As a result, we hope tenants can better cope with significant changes, protect (or even increase) their income and better able to avoid rent arrears or disruption to their rent accounts. For more details please visit Spring CHC Training Programme page here, where you can download the CHC course programme. We can also come to you, if you have a suitable venue and up to 16 participants. Again please contact Jen above. This entry was posted in Uncategorized and tagged benefits, courses, training. Bookmark the permalink.